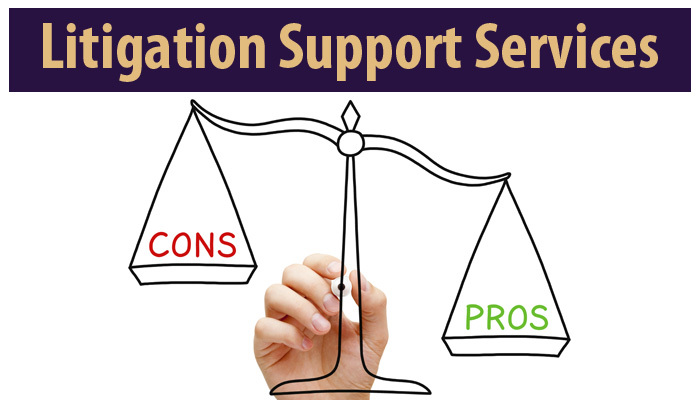 What are the Pros and Cons of Hiring Litigation Support Specialist? What are the Pros and Cons of Hiring Litigation Support Specialist? Litigation support services are an important part of the legal process. It involves all the activities in an organization required to prepare a case like documentation review, interviewing witnesses etc. This function is extremely time consuming and involves a lot of effort. Nowadays, there are various third-party firms based in nations like India, Argentina, China etc., offering litigation support services to established law firms in developed nations like US, UK etc. 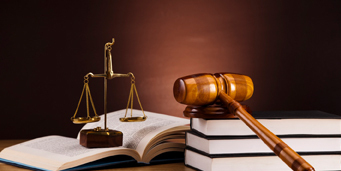 These legal support services help in enhancing the efficiency of the law firms and reducing the work pressure. 1. Cost Effectiveness: The costs of hiring legal support services based in developing nations is much less than hiring local talent in developed nations like the UK, US etc. So by hiring the services of third-party litigation support specialists, a law firm can save a lot of funds and enhance their profits. Moreover, it also eliminates the need to spend on infrastructure. 2. Helpful in Dealing with Complex Cases: The litigation support specialists are capable of easily dealing with the most complex cases. These companies have access to highly competent staff that is capable of fulfilling all the requirements while maintaining the desired quality standards and the stipulated deadlines. 3. Up-to-date Knowledge: The outsourcing staff remains in touch with the latest developments in the legal field. As offering legal support services is their bread and butter, they possess complete information regarding the laws prevalent in the nations where their clients are based. 4. Access to Variety of Services: The outsourcing firms offer a variety of litigation support services like document management, document review, e-discovery, deposition summaries and analysis, case summaries, drafting of motions and memos, summarization of records, proofreading etc., for the benefit of the law firms. All the areas of litigation support are covered by them. 5. Improved Usage of Staff Time: By using the outsourcing option, the staff of the law firm can be engaged in more important activities. In cases of extreme work pressure, these services can prove to be extremely useful. 6. Useful in cases of urgent requirement: There is a 10-12 hour difference in the time zones of India and nations like the US, Canada etc. So in cases of urgent requirement of work, law firms based in US or Canada can assign work to Indian firms in the evening and get the results by the early morning hours next day. 1. Data Security: While hiring the services of a third party law firm, the issue of data security may arise if you don’t hire a reputed firm. You cannot rely completely on the outsourcing firm for ensuring the privacy of their data. 2. Reliability: Though the outsourcing firms have earned a reputation for being professional in their approach still there are many law firms who find it difficult to rely on a third-party firm. Legal Support World (LSW) is among the leading provider of outsourcing legal support services to law firms. These services can help with cost-cutting and revenue optimization. They have access to proficient staff and the latest technology for fulfilling the client needs. To get more information, contact us at info@legalsupportworld.com or call us at +16466882821.